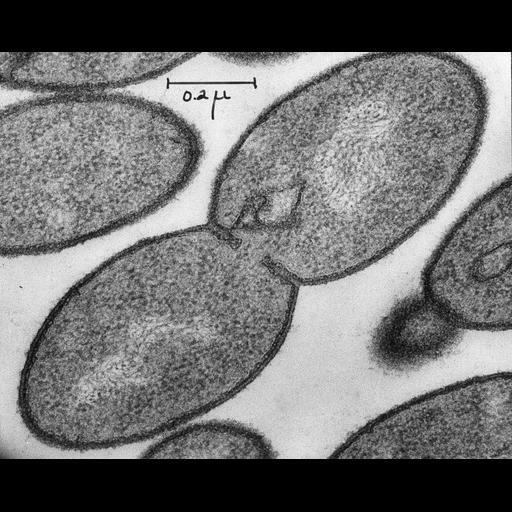 Transmission electron micrograph of a thin section through the bacterium Diplococcus pneumoniae in the process of division. The fibrous nucleoids are seen in the center of the two daughter cells, surrounded by cytoplasm containing numerous ribosomes. Micrograph recorded at a magnification of 90,000x. Original 3.25 in. x 4 in. lantern slides were scanned at 600dpi.